Feeling more confident with smoother, clearer, tighter skin can give you the boost to conquer the day. As we age, our skin becomes less elastic; it appears more saggy and loose with creases and folds that can make us look older than we feel. You can slow the effects of aging, restore your skin, allowing you to put your best foot forward with FORMA and PLUS (Skin Rejuvenation). FORMA (previously known as Fractora Firm) is a unique, non-invasive, clinically advanced skin care treatment designed to revitalize and renew your skin. Forma targets the elasticity of the skin, resulting in smoother, clearer, tighter skin. 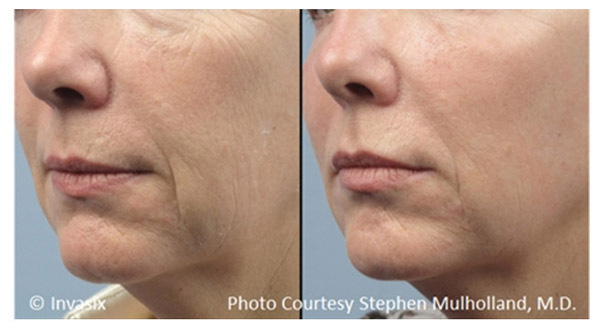 It uses radiofrequency (RF) technology that heats the deep layers of your skin to promote collagen remodeling and skin tightening and reverses damage from aging, sun, and acne. Felt as “warmth on the skin” during treatment, it improves tone and suppleness over a period of time. The A.C.E. (Acquire, Control, Extend) technology, that Forma is based on, has built-in safety features that allow the RF energy to be carefully controlled in the deep layers of the skin. The device allows for precise thermal control to therapeutic temperatures for stimulating the skin’s production of collagen and elastin. It assures us that no area of the skin is under or over treated, thereby maximizing results and ensuring consistent outcomes. Forma is appropriate for individuals looking for a non-invasive and natural looking approach to improvements in skin tone and texture irregularities. It can reverse the effects of sun damage by eliminating sagging, fine lines and wrinkles. Patients have reported that their skin feels smoother and more defined with less wrinkles. 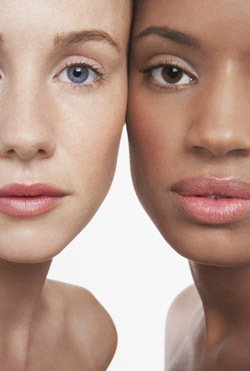 Forma is an advanced aesthetic solution for all skin colors. Forma is an essentially painless procedure. No anesthesia is needed. A sensation of warmth is typically felt during the procedure. After each session, there may be slight redness in the treatment area, which subsides within a few hours. There is essentially no downtime with Forma. At The ChinQuee Center for Wellness and Aesthetics, Dr. ChinQuee and her team will discuss your unique needs and concerns during a confidential consultation. Your Forma treatment schedule will be based on a medical pre-evaluation. It is recommended that weekly sessions are performed over 6-8 weeks. Patients with mild skin laxity may be treated in fewer sessions with more weeks between each treatment. 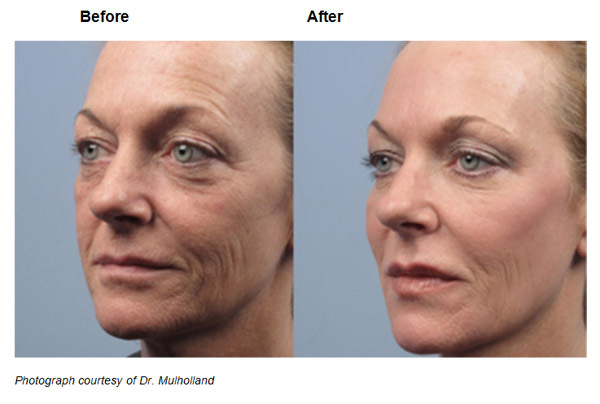 Yes, Forma can be used in combination with most other laser treatments, facials, injectables and/or fillers. Please speak with Dr. ChinQuee and her team when considering combining Forma with other treatments. Most Forma patients will combine Forma with Fractora Resurfacing for a treatment series called FracTotal Facial. FracTotal Facial is the ultimate skin renovation treatment that addresses all-in-demand facial concerns including laxity of the skin, uneven skin texture, uneven skin tone, pigmentation and wrinkles. 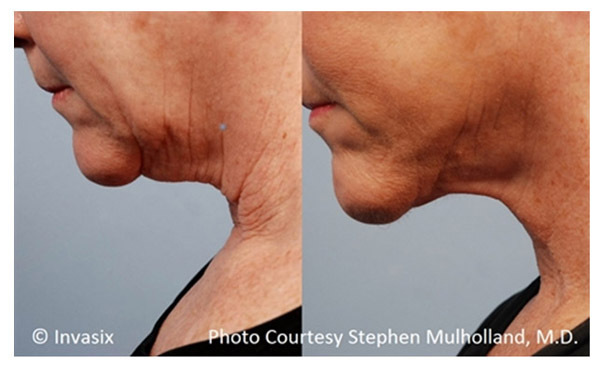 PLUS ( previously known as Fractora Plus) uses fractionated radiofrequency energy to stimulate collagen production that helps to tone and refine your body. After Plus treatments, you can achieve a more youthful and toned skin contour making your body appear smoother, sexier and younger. Plus is recommended for individuals who are looking for a non-invasive skin treatment to address targeted areas that require skin tightening. Plus can be used to reduce texture irregularities in loose, saggy skin to provide a lifted appearance. Plus is safe and can be used on all skin types and tones. Most patients will feel a heat sensation and “feel” tighter during treatment. 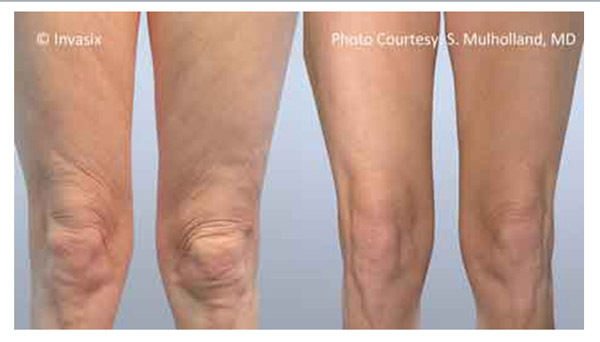 Over time patients typically notice a reduction in the folds of their skin leading to a smoother contour of the body. Textural irregularities will even out and sagging skin will appear more toned. Plus can be used on parts of the body that may need skin tightening after the effects of weight gain/loss or general aging. Plus is effective on crepey skin on Décolletage, upper arms and knees. Plus is essentially painless and has no downtime. Plus feels like a hot stone massage. After a session, patients may see slight redness in the treated area., which will lessen within a few hours. All patients are able to return to their daily activities immediately after treatment. Your Plus treatment schedule will be based on a pre-evaluation and determined at your confidential consultation with Dr. ChinQuee. Typically, weekly sessions are recommended over a 6-8 week period. Individuals with mild skin laxity may be treated in fewer sessions with more weeks in between each treatment. Best results will be noticed over time or a series of treatments.